A nuclear waste dump on the moon unexpectedly detonates, blasting the moon out of orbit and taking the inhabitants of Moonbase Alpha on a fantastic voyage of discovery to the stars, fraught with danger at every turn. 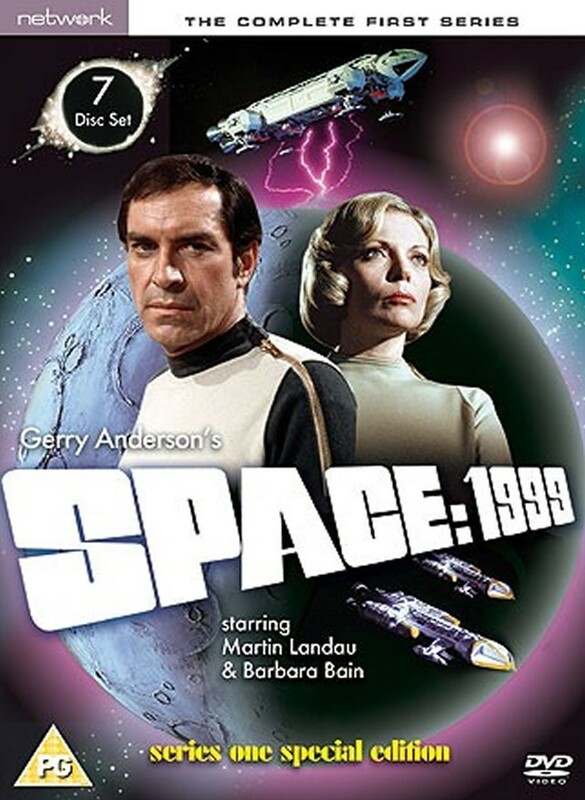 Another outstanding production from the Gerry Anderson stable, SPACE: 1999 stars Oscar-winner Martin Landau and his then-wife Barbara Bain. Network is proud to present this series on DVD in a digitally remastered format on the thirtieth anniversary of its first showng on British television. This classic science fiction series will appeal to anyone who likes DOCTOR WHO, BLAKE'S SEVEN, FARSCAPE, STAR TREK and sci-fi and archive television fans in general. This ultra-special edition of Space: 1999 series one was released to coincide with the thirtieth anniversary of its original UK transmission and the episodes will look stunning as they were sourced from brand new HD transfers taken from new 35mm interpositives, made especially for this release. This set also contains featurettes on special effects, the writers and the series design as well as commentaries on two episodes with Gerry Anderson as well as a demo version of Barry Gray’s main theme, trailers for the movie versions and the Clapperboard two-part special on the work of Gerry Anderson from 1975.